At RentJax.com, we do so much more than give you a simple list of Jacksonville apartments to pick from; instead, we have created a site that gives you the tools and information you need to be sure you've narrowed down all the apartments in Jacksonville to the best place for you. You shouldn't have to drive around town, hoping that you'll stumble upon the apartment of your dreams -- our staff, a team of local residents and industry experts, has done the searching for you. 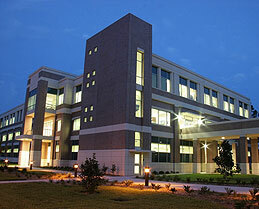 The hardest thing you'll have to do is decide which of the many fantastic Jacksonville apartments is the one for you. The tools provided by RentJax.com are unparalleled by anyone else in the industry. We have more than 300 filters that enable you to refine your search for Jacksonville apartments, letting you focus on the things that are really important to you. Our listings are comprehensive, often providing more information than an apartment's own website. Why? Because we make it our mission to keep you informed on everything you need to know. If you’re relocating to Jacksonville apartments, there’s no need for it to be a burden; just take advantage of our interactive map, which details the city, as well as our relocation guides, which help you handle moving, as well as what you’ll do when you get there. We know we don't have all the answers... but we have most of them. What's just as impressive as our information is the team at RentJax.com. We have created a staff of experts, people who are local to the area and who are ready to answer your every question about Jacksonville apartments. We then post the answers to the most frequently asked questions on our site. We currently have more than 340 responses, with more coming every week! On top of that, this team of trusted experts has made a point to visit almost all the apartments in Jacksonville; this way, they ensure you have the most accurate information available. Better information enables you to make better decisions. We know just how important it is that you find Jacksonville apartments that suit your needs, which is why you can rely on us. From answering questions to scheduling tours, we're here for you. Are there any recreational classes I can take near Jacksonville apartments? Why are Short-Term Leases Harder to Find? What is the difference between subletting and reletting an apartment? How often should I change my air filter at Jacksonville apartments? What are the benefits of signing a short term lease at Jacksonville apartments? With the help of more than 300 filters, you can refine a search of all the apartments in Jacksonville to only those that meet your every requirement. Why wonder if it's the perfect place? With just one search, you'll know if it's the apartment for you. No matter how much money you have for rent, you can rest assured that there are plenty of Jacksonville apartments that fall within your budget. From cheap apartments to luxury apartments, there is something that meets both your financial and living needs. 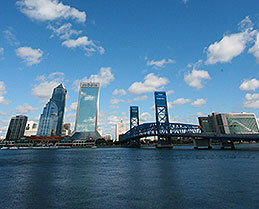 You can learn everything there is to know about the city while you search for Jacksonville apartments. It may sound impossible, but our neighborhood guides offer in-depth details on every place in the area, covering everything what activities to do to what the traffic's like. If you're new to the area, our relocation guide will take care of you. It'll make your move into one of the apartments in Jacksonville smooth, but sharing information on moving and utilities, as well as local news. Don't worry; you'll look like a local in no time. 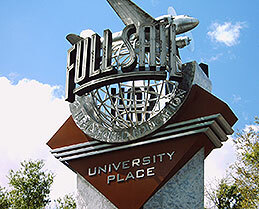 What Makes Us Different?We're not here to "upsell" you into Jacksonville apartments you can't afford. Search for amenities that matter to you. No one has more search options than we do.